German Craft Beer, Wein und Schnapps Schnaps import to Canada What we offer ... I. A carefully selected offering of high quality German beers with exclusive rights for distribution to the Canadian market II. Transport of these products to the point of delivery in Canada including all customs documentation III. 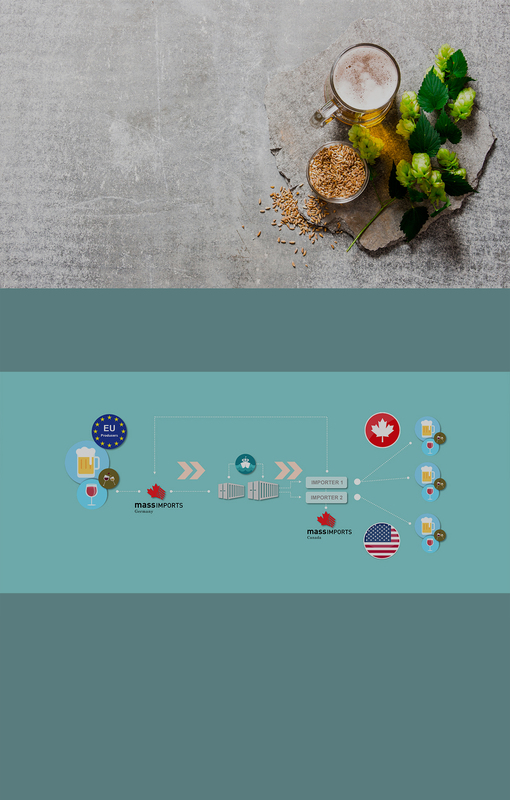 Coordination of all requirements with Canadian liquor boards, local partners and customers to ensure proper importation of products. IV. Transport of third party products through a strong logitical network including the transport and consolidation within Germany for export to Canada. V. Regular monthly shipments of product to guarantee uninterupted service VI. Services for all of our partners are dealt with locally and can be paid for in the local currency, eliminating any currency risks. // We are exporters of high quality European products with a focus on servicing both importers in North America and our producers in Europe. // Our mantra is to provide a seamless service for our clients that allows them to focus on selling their portfolio into the appropriate market. Before taking on any new producers for import to North America, Mass Imports performs a number of checks and tests to ensure that the product meets our minimum standards and would be a good fit for the market in North America. The next step is to create the right partnerships,so that the products are well represented in the right portfolio and with the right sales team. // FOR IMPORTERS, please feel free to contact us to get an updated portfolio of producers available in your region. // FOR SUPPLIERS, please feel free to contact us if you are interested in entering the North American market.